The municipality was named after Blanshard Township in Ontario where its first Secretary-Treasurer, William Miller, had worked before coming to Manitoba. 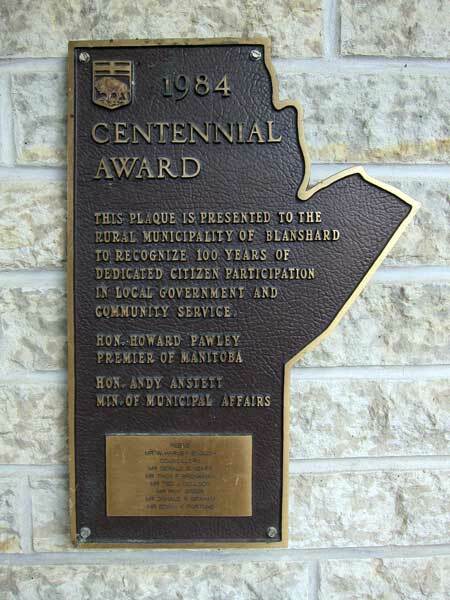 Go here for a list of historic sites in Blanshard. Go here for a list of history books for Blanshard. History of Blanshard Municipality, 1884-1959, 1959, Manitoba Legislative Library F5648.B63 v. 1. History of Blanshard Municipality, Volume III, Blanshard Centennial History Committee, 1984, Manitoba Legislative Library F5648.B63 v. 3.